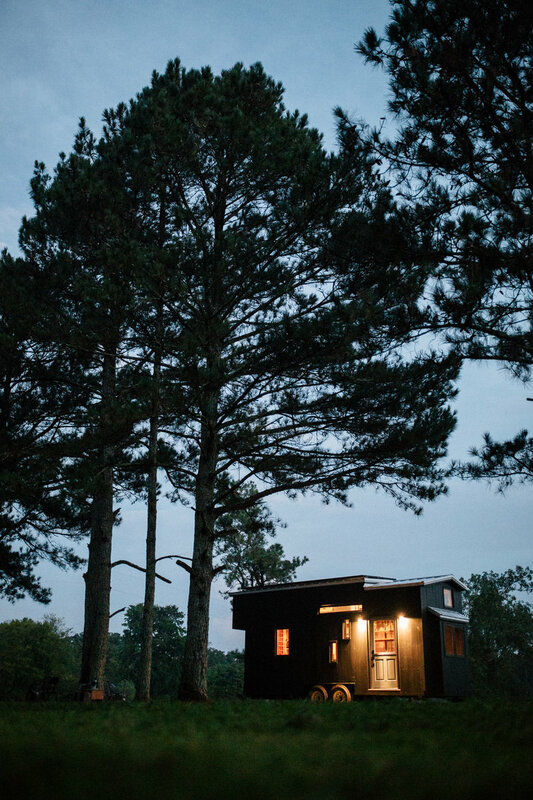 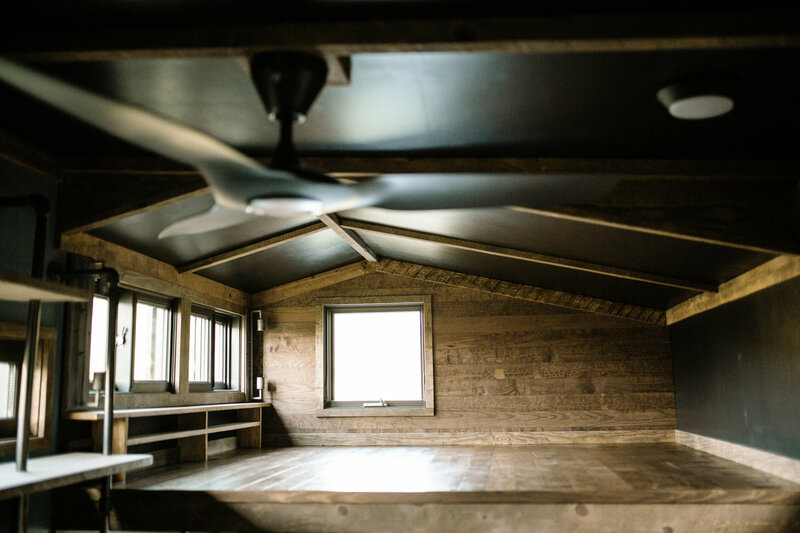 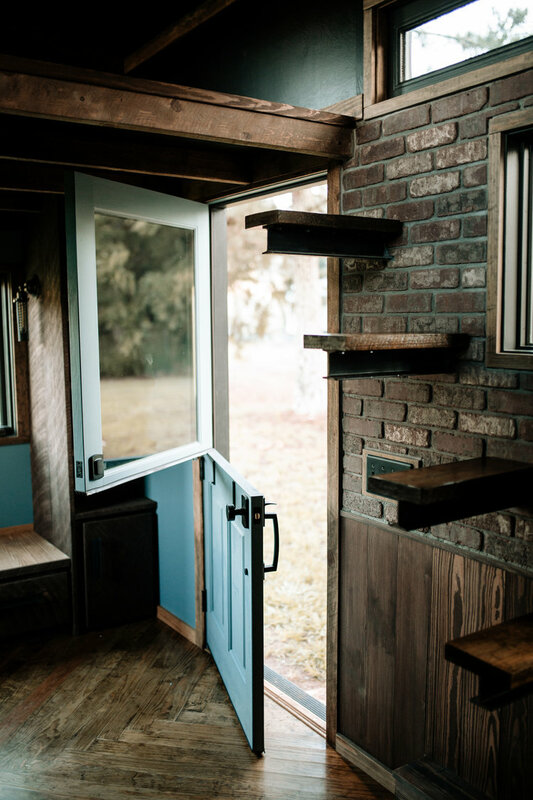 Today we want to tell you about the Rook Tiny House. 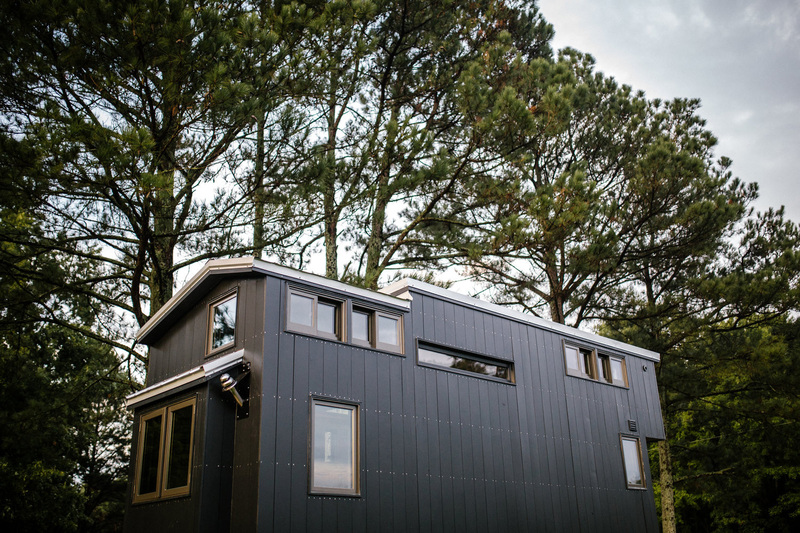 This 22-foot long abode made by the Chattanooga, Tennessee-based Wind River Homes has a surprisingly urban vibe to it despite being built for anywhere but the city. 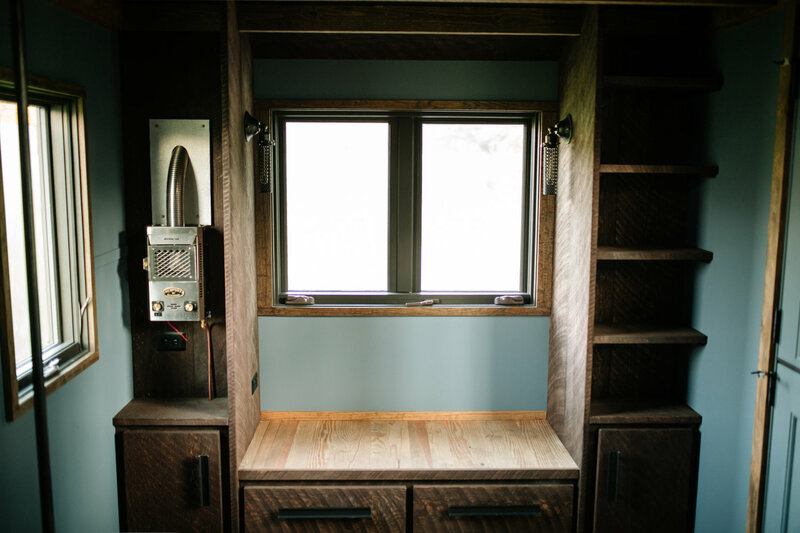 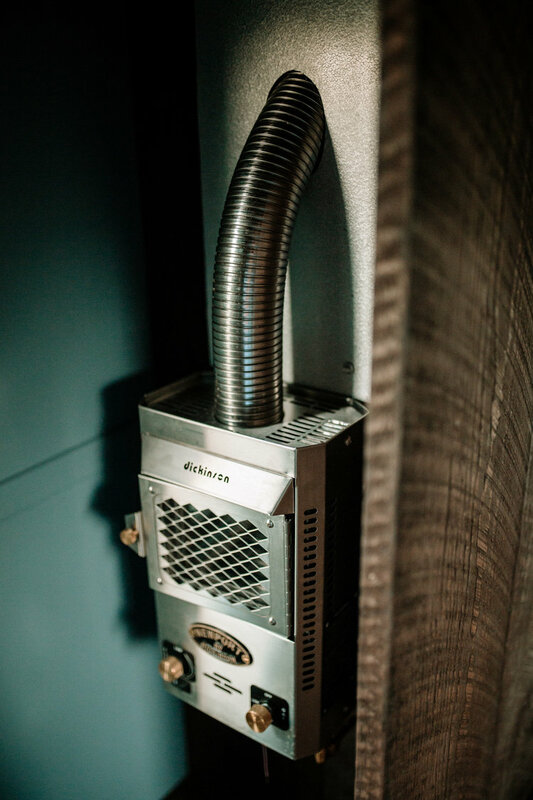 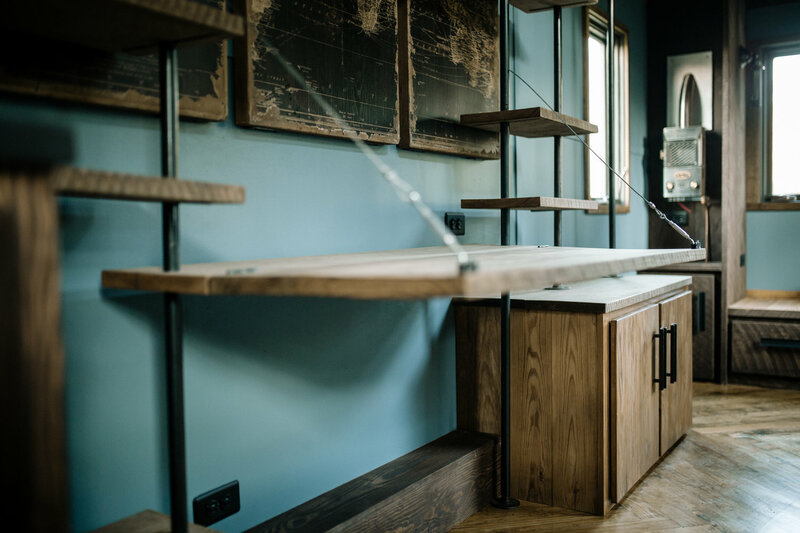 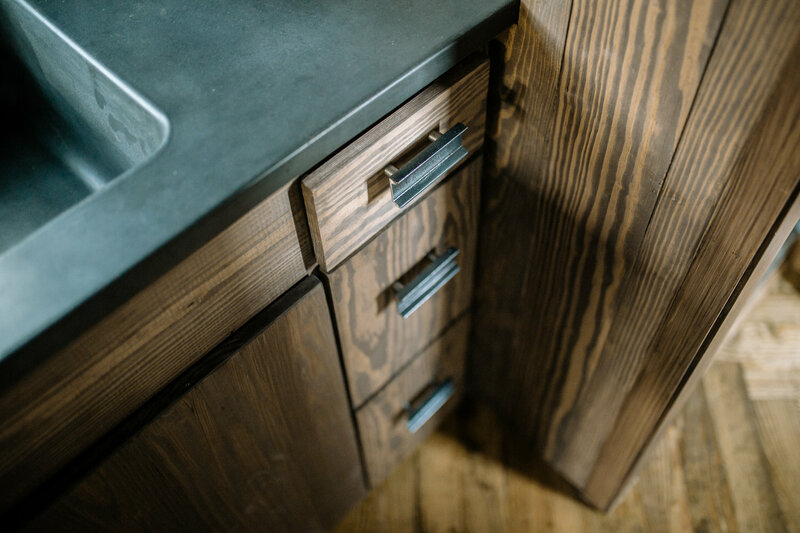 The exterior of the home features painted vertical siding with exposed stainless screws that give off a stark and masculine vibe while the interior sports a herringbone floor, exposed brick veneer, floating rebar stairs, and a handful of other rugged accents. 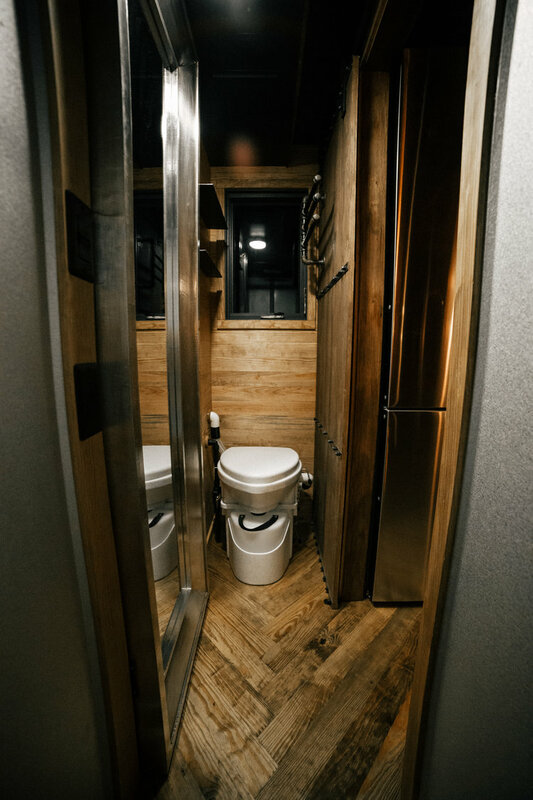 Despite being incredibly small, the home has a full bathroom, loft with washing unit, built in book shelves, a fold down desk, and a bevy of other creature comforts. 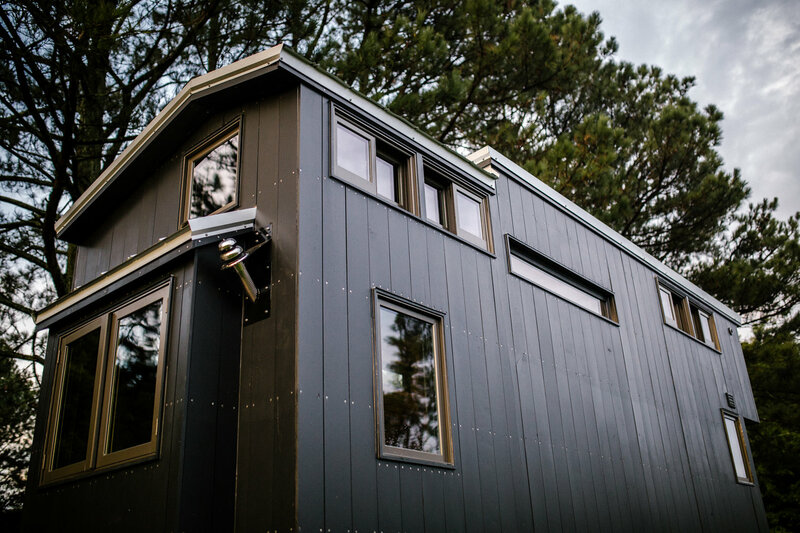 But it isn’t what Wind River fit into this home that makes it interesting. 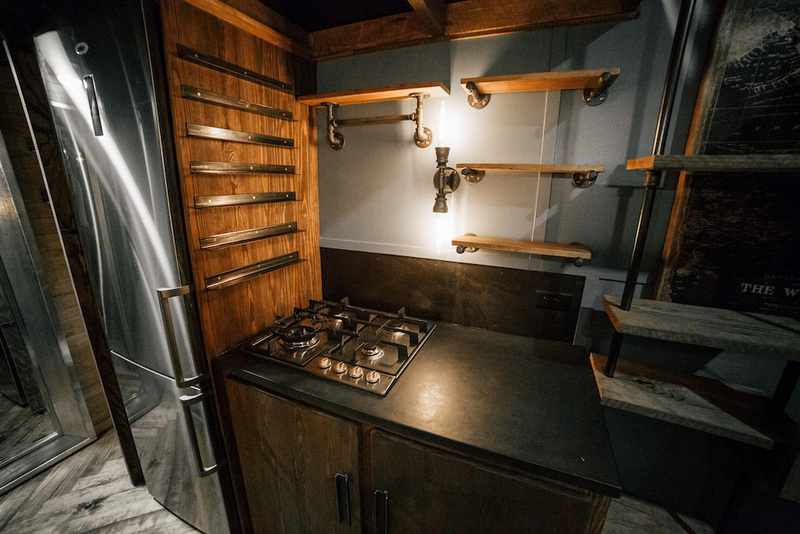 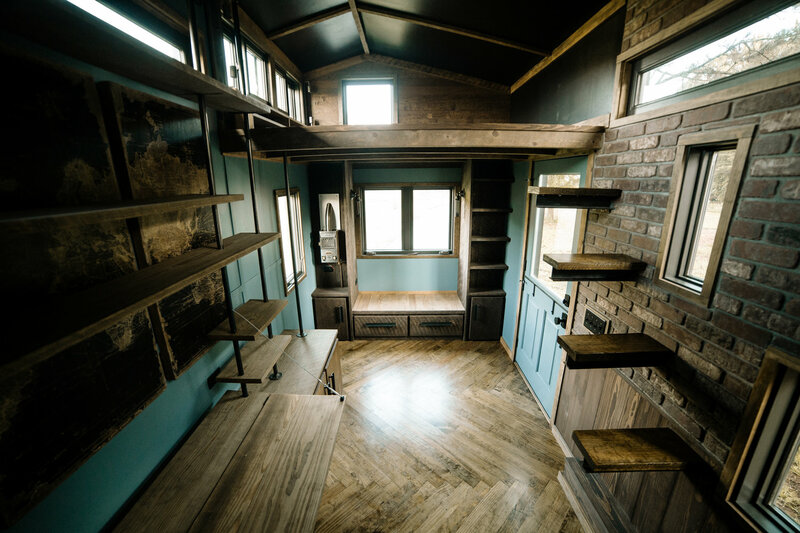 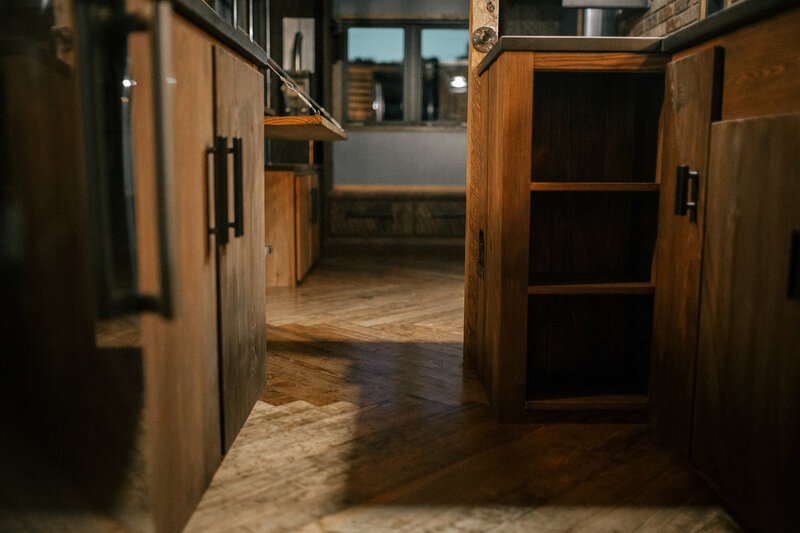 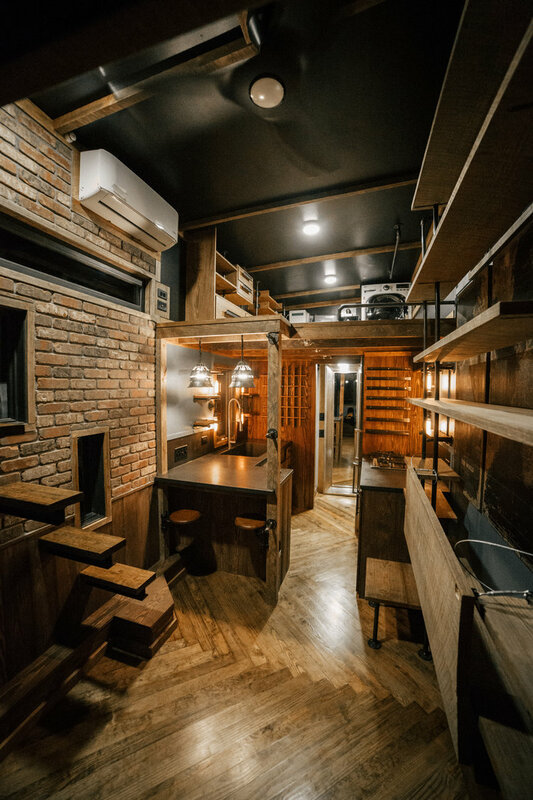 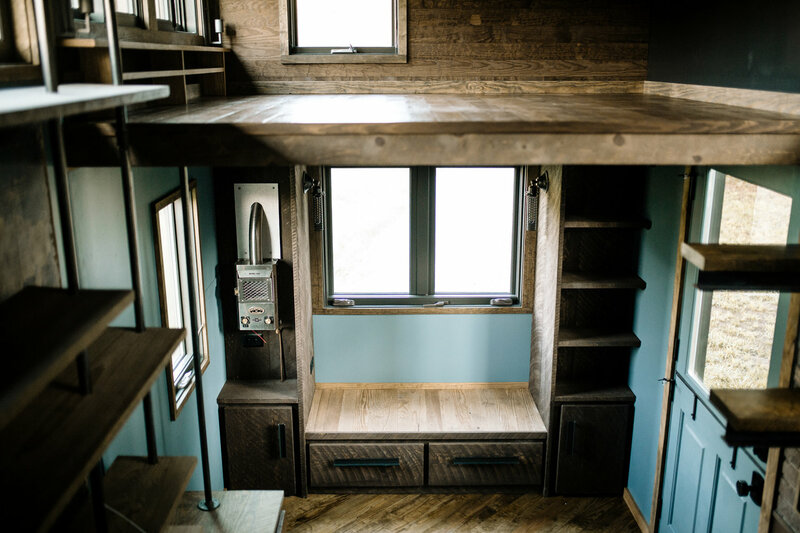 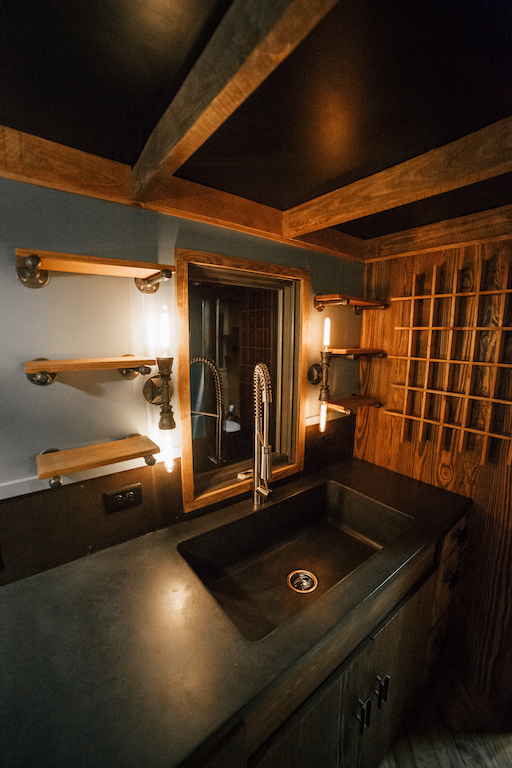 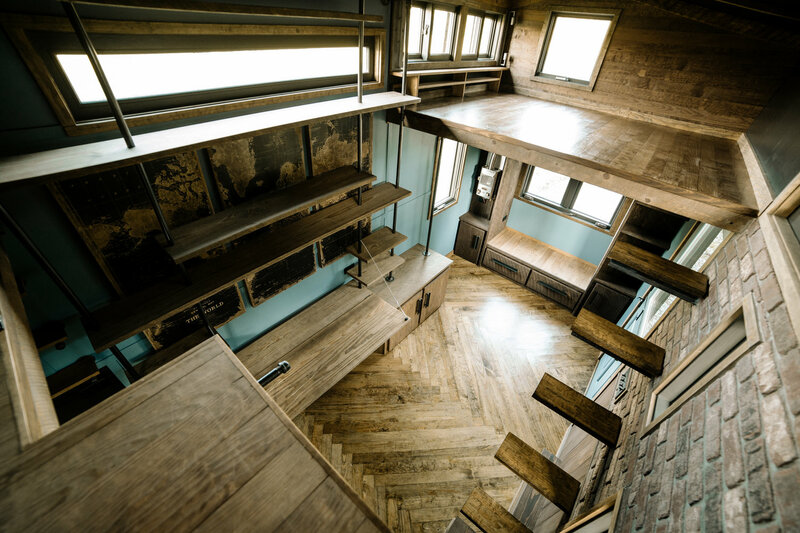 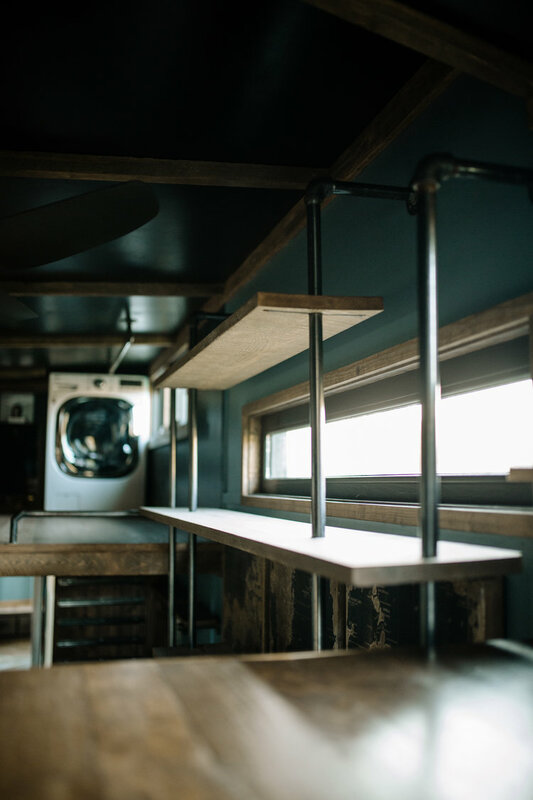 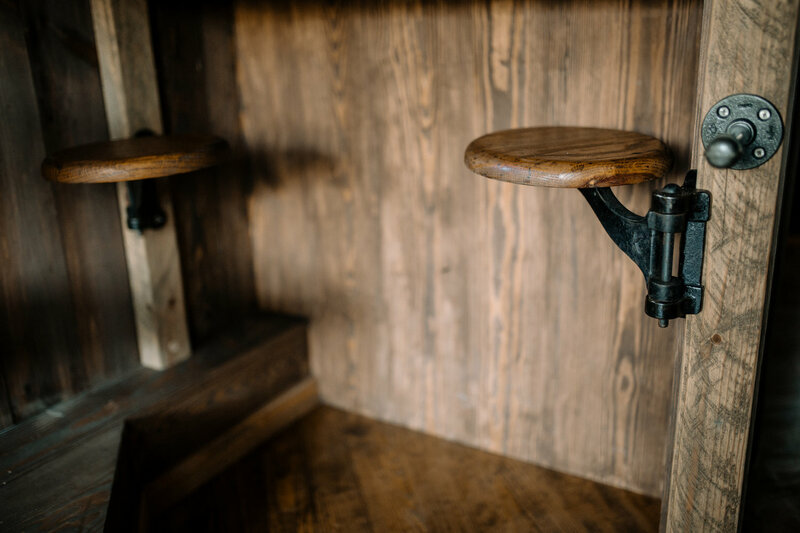 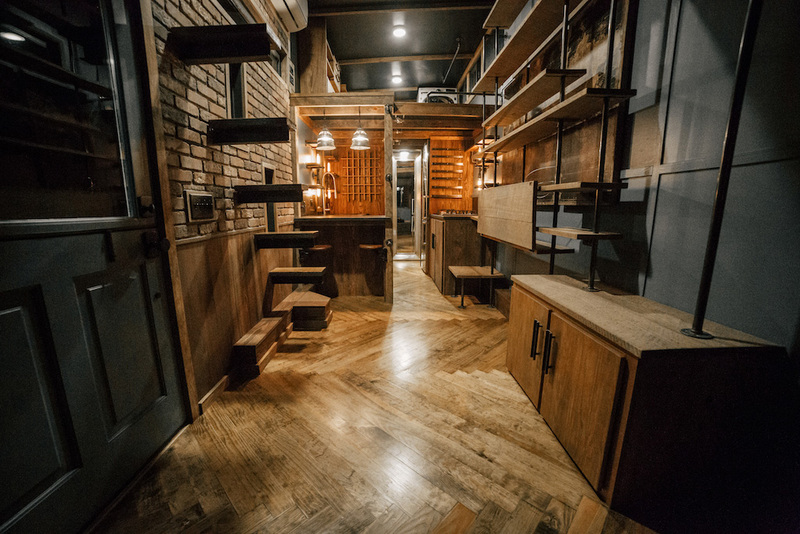 Take it out of context and the inside of the Rook tiny house could be mistaken for a renovated big-city industrial loft. 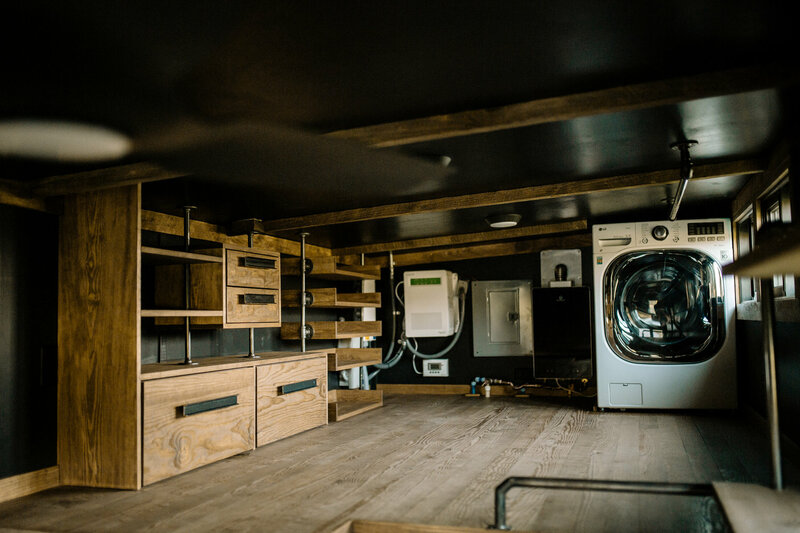 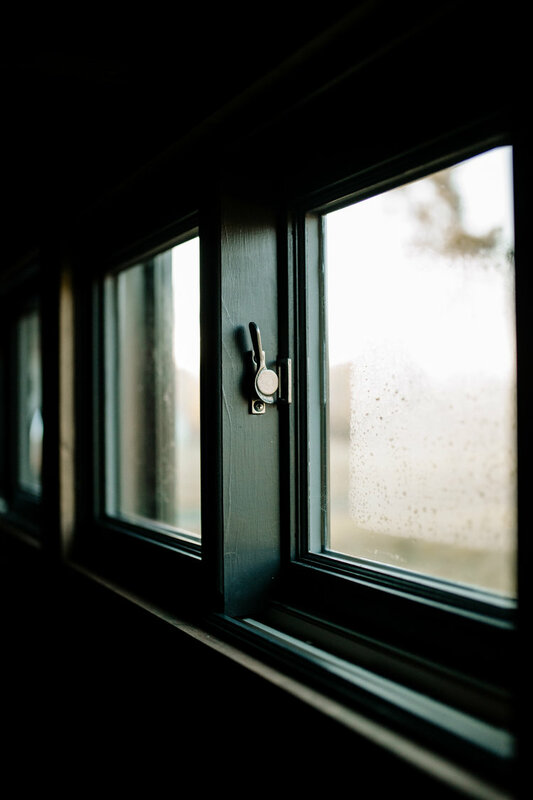 And given all the hard work and detail that Wind River put into the home, it’ll cost you about as much, too. 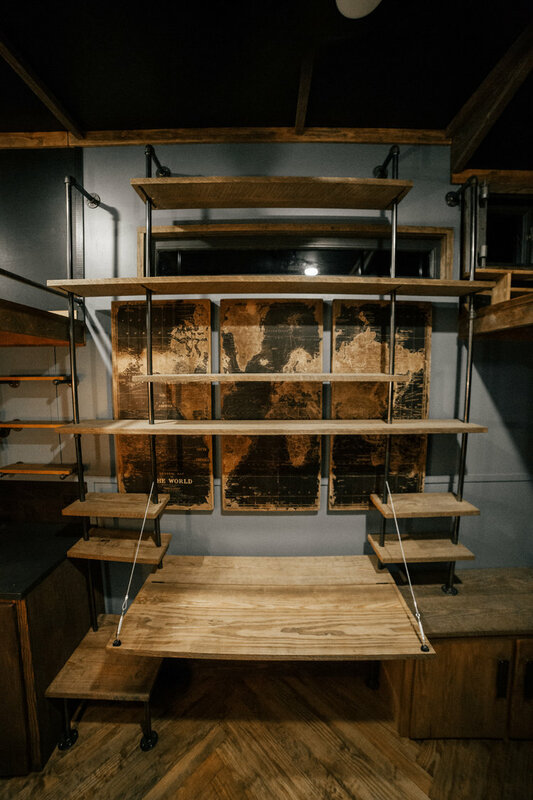 Price tag is $100.000.